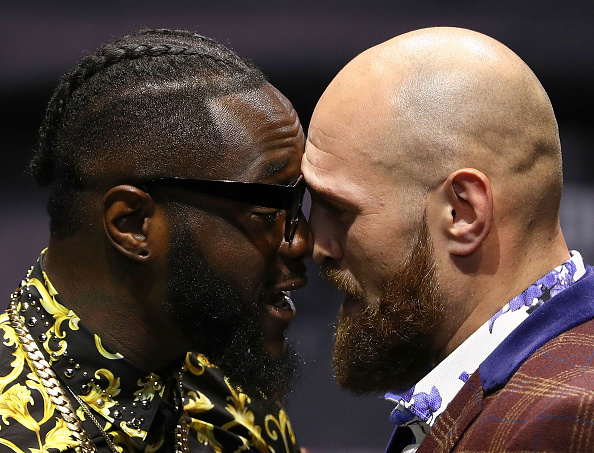 This Saturday is slated to be one of the biggest matches in boxing in quite some time as Tyson Fury and Deontay Wilder get set to face off against each other with the Heavyweight world title on the line at Staples Center in Los Angeles. Former two time heavyweight world champion George Foreman is widely recognized as one of the greatest heavyweights of all time, and for very good reason. TMZ Sports caught up with the legendary boxer, and while he had no clue who would come out victorious between Wilder & Fury, he knew who would win if had faced them in his prime. Big George saw a whole different set of problems with Wilder. As a matter of fact, Foreman thinks so highly of the two fighters he says their matchup on Saturday is going to be an EPIC brawl for the ages. Foreman may be humble with his answer, but boxing fans won’t accept his answer.